Volkswagen’s Golf is a car with a long history, dating back to what we knew as the Rabbit of the late 1970s (although this car has always been the Golf in Europe). That history does not include much in the way of daring design, and that doesn’t look poised to change as the Golf moves into its seventh generation for 2015. That’s okay: despite looking not much different than the third-generation model introduced in the mid-1990s, the newest Golf is a sharp little car, with classy styling that belies its affordable price tag. The real news is what’s under the hood: the new base engine is a 1.8-litre turbocharged four-cylinder that makes 170 hp and 185 lb-ft of torque. It’s a bit of a throwback, as the fourth-generation Golf (and its Jetta sedan sibling) were notable for an engine nearly identical in specification; where that motor was aimed at drivers looking for a sporty drive, the goal of this new 1.8 TFSI powerplant is efficiency. Fitted with VW’s latest direct gasoline injection technology, fuel consumption estimates are 9.3 L/100 km (city) and 6.4 (highway); my test car posted remarkable averages of 5.7 L/100 km in highway driving, and about 8.5 in the city. Those real-world results make the more expensive, but only slightly more efficient TDI diesel engine look a lot less appealing. I lead with that because, while the Golf is a lovely car in most ways, that fuel economy—and the engine that provides it—is the most exciting thing about this car. Don’t take that the wrong way. The new engine is a torquey wonder, making plenty of smooth, quiet power. Surprisingly, the manual transmission is only a five-speed; most transmission innovation these days is going into eight-, nine- and ten-speed automatics. 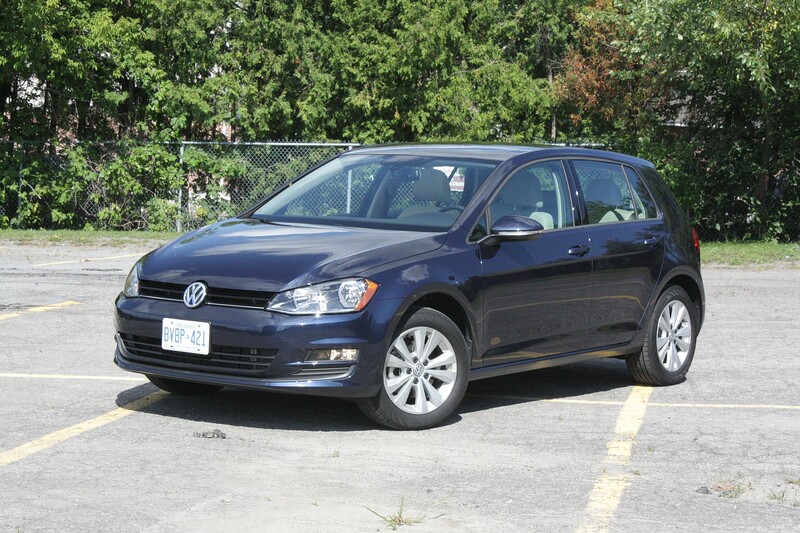 The number of gears doesn’t pose a problem in the Golf; what does is that this transmission is geared so far toward economy that the engine spins at less than 2,000 rpm at 100 km/h in fifth gear, and the gaps between ratios are very wide. The engine can handle all of that, but it does take a lot of the fun out of driving the car. Likewise, the ride is softer than you might expect. 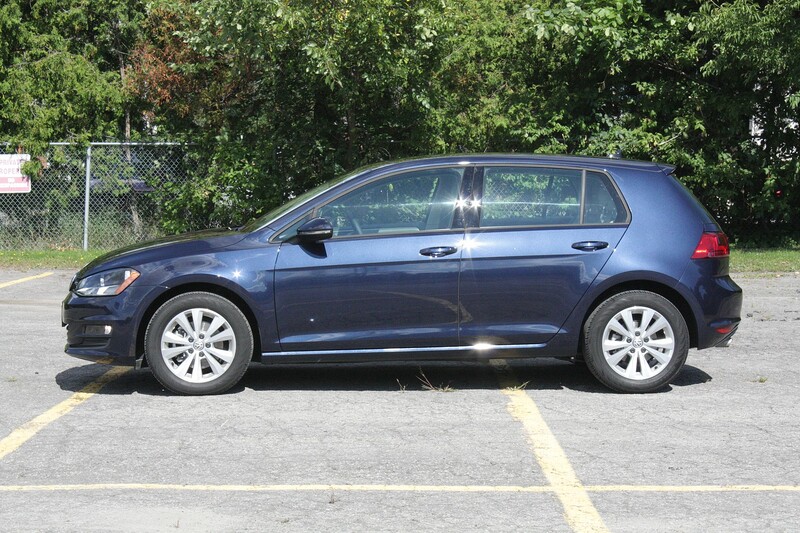 Comfortable, without a doubt, and the car feels very solid at highway speeds, but the way the Golf goes over the road will do little to encourage you to attack corners with much enthusiasm. If you do, however, you’ll be rewarded with predictable handling and sharper responses than my tester’s 16-inch wheels and high-profile tires suggest. 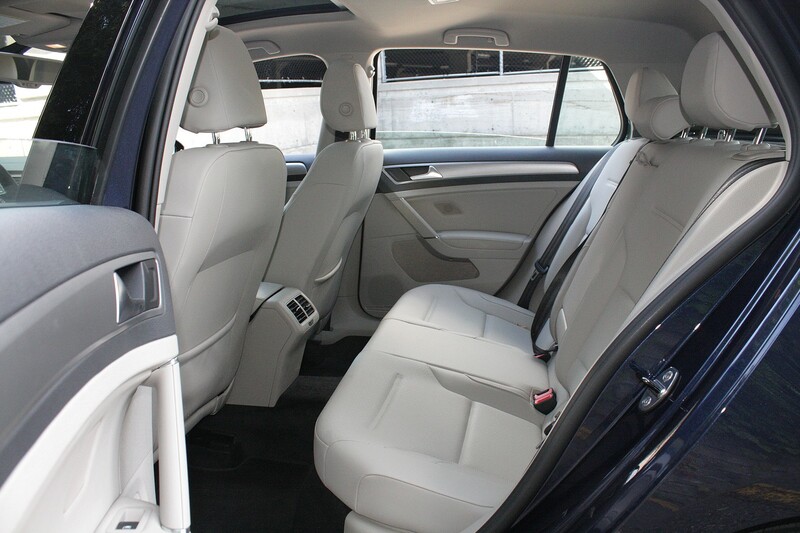 This is a very spacious car, with accommodations that verge on mid-size, something that’s becoming common among compact cars. 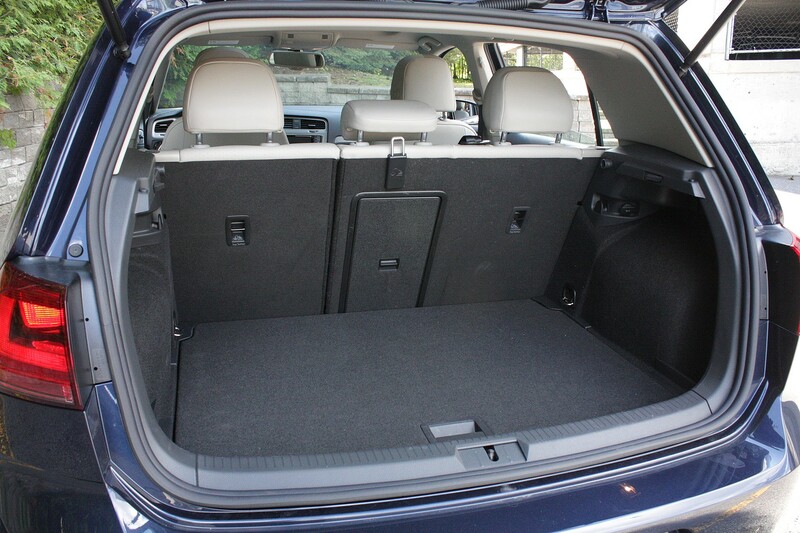 The cargo area is large as well: if you’re considering a small crossover for its trunk space, think smaller, because the Golf’s trunk will challenge just about any you’ll find in a compact SUV. I was less enthusiastic about the front seats, which are far less comfortable than those in previous Golfs and Jettas I’ve driven. Helping to make up for that is their wide range of adjustment, including electric backrest adjustment and lumbar for both front chairs. In fact, the base package is a decently-equipped car. Bluetooth is included in all trims, along with a streaming audio function and a wired iPod connector which only works with Apple music players. Front seat warmers are standard, along with heated side mirrors and windshield washer nozzles, all of which make winter driving more palatable. Manual air conditioning is also included. If you move up to Comfortline trim, as my tester was delivered, the $23,000 price tag includes cruise control, backup camera, automatic post-collision braking and fog lights. Spec out the Comfortline with a $1,600 convenience package, and VW adds automatic headlights, auto-dimming rear view mirror, dual-zone automatic temperature control, sunroof and rain-sensing wipers. For nearly $25,000, there are a number of things missing from the Golf that other small cars—most notably the Hyundai Elantra and Kia Forte—include for similar money. 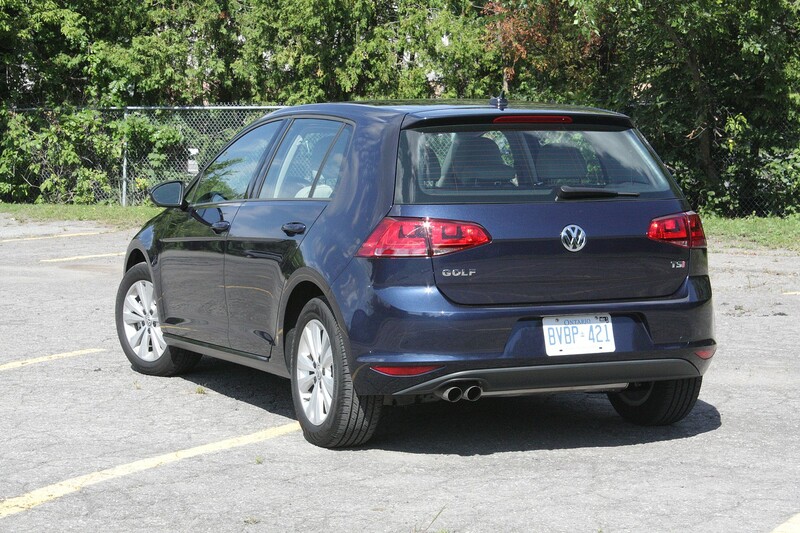 However, though the Golf may not be a ton of fun, it feels expensive going over the road, and for the right driver, that will count for more than any number of convenience features.